Let’s be clear at the outset: the commons is not simply a nice buzzword or clever way to re-name “the public interest.” If taken seriously, the commons provides a profound reconceptualization of what we call “the economy.” It implies different sorts of human relationships and identities. The point of the commons is not to balance supply and demand or maximize private profit; it is to meet basic human needs in socially satisfying and sustainable ways. The idea of the commons is to combine production, consumption and governance into a single, integrated, well-functioning system. For standard economics, this is a nonsensical idea. 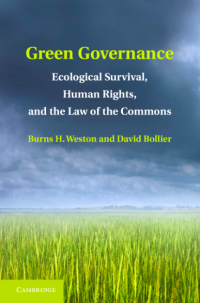 Ever since biologist Garrett Hardin published his classic essay on the tragedy of the commons in 1968, economics has considered the commons is a failed management system – a smear that has been widely accepted by popular culture. “We all know that the only serious sources of value-creation as the market and the state. Don’t you know? 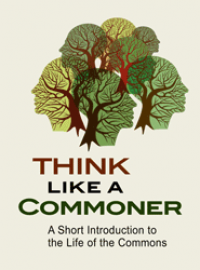 The commons always results in a ‘tragedy’.” As the “tragedy parable” sees it, rational individuals always seek to maximize their personal utility and never have the incentive to restrain themselves or act on behalf of the common good. They will always grab as much as they can for themselves, invariably over-exploiting and ruining it. 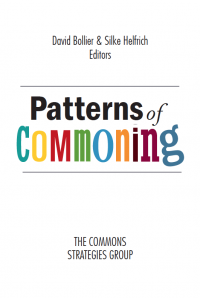 In conventional economics, the commons is such a non sequitur that two of the leading introductory economics textbooks in the U.S. – one by Samuelson & Nordhaus, the other by Stiglitz and Walsh – do not even mention the commons. This is a remarkable fact when you consider that an estimated two billion people in the world depend upon commons of forests, fisheries, farmland, waterways and other natural resources for their everyday subsistence. Well, the tragedy meme is simply not true – if only because Hardin was not describing a commons. He was describing an open-access regime or free-for-all in which there is no community, no rules, no boundaries around the resource, no oversight of it, no sanctions against free riders and vandals, and so on. A commons has all of those things, and more. A real commons is a system of community governance and resource management. It took the hard work of Professor Elinor Ostrom, the pioneering social scientist who died four months ago, to rebut the “tragedy thesis” with hundreds of empirical case studies. Over the course of four decades, Ostrom helped organize an enormous cross-disciplinary literature and a worldwide corps of scholars to study the commons. Improbably, she won the Nobel Prize in Economics for this work. It was improbable because she was a non-economist who studied cooperation and sustainability – and, let’s not forget – the first woman to win the Nobel Prize in Economics. At the time, many leading lights in economics had never heard of Ostrom. This is not entirely surprising. Conventional economics is a fairly parochial, theory-bound discipline that finds the commons highly perplexing if not threatening. After all, the commons proposes a very different framework for value-creation and a far more complex, empirical model of human behavior. It challenges the fictional ideal of a human being known as homo economicus, the rational, selfish, utility-maximizing individual who creates value through market exchange. If taken seriously, the commons blows up the core epistemological premises of economics and its theory of value. It challenges the idea that individuals are the only interesting unit of agency and rationality; that price can express various types of value; and that the price system is the only serious engine of value-creation and maximization. Well, old mythologies die hard. The rise of the Internet has ushered in a new stage of economic history by providing a powerful new infrastructure for generating value. Especially since the arrival of Web 2.0 platforms, or social networking, the supposed value of exclusive private property rights has generally declined. The big surprise has been that sharing on open platforms tends to create greater value than tightly controlling works through copyright, encryption and other systems of exclusion. I call the remarkable reduction in the value of digital property rights and the increasing value of open access and use – “the Great Value Shift.” The term points to the new reality that value is not simply a function of supply and demand, and exclusive property rights. Value originates as well from social networks that come together to create and share. Value may even originate outside of the market entirely – as an outright gift of nature or as an inheritance given to us by earlier generations. Digital commons are often more innovative than markets precisely because they allow people greater freedom and autonomy. As a commoner, you don’t have to care about marketability or institutional priorities in order to undertake something new. You don’t necessarily have to raise money or get advance permission. The commons therefore provides a qualitatively different personal experience than markets or governments can provide. It tends to be more informal, self-organized and relationship-based. New ideas are allowed to emerge. The commons honors individual self-selection for tasks, passionate self-engagement, serendipitous discovery, experimental creativity and peer-based recognition of achievement. Needless to say, this new commons-based theory of value can be quite disorienting to conventional economists, institutions and policymakers. They are accustomed to seeing value as something that arises through market transactions among individuals. The idea of social collectives or shared infrastructure generating significant value is an alien concept. The idea that people might actually wish to cooperate – and that open platforms and digital commons might actually out-perform the market – is also mind-shattering. But that’s precisely what is happening. The Great Value Shift is transforming the process by which value is generated, at least online. The commons proposes a different conceptual framework for understanding this process. First, value is not necessarily monetized at all. Value may express itself in forms that are subtle, long-term and embedded in living, pulsing social circuits. 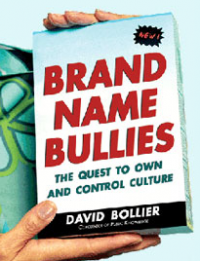 In online communities, price is simply too crude a way to represent value. 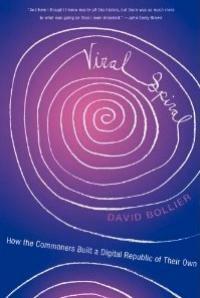 Second, in a commons, value is the function of stable social relationships of trust and cooperation. In the circumstances, the very word “product” seems inappropriate. It’s all about the stewardship of a group’s resource, allocating limited use rights, and nurturing the group’s shared mission and identity. 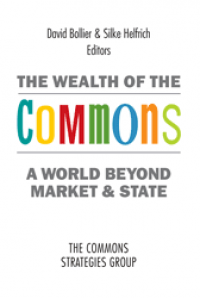 In a commons, the essential goal is not to amass huge stockpiles of wealth. It is to assure that the flows of vital resources are maintained. That’s why I see the Great Value Shift as propelling a major shift in how we think about value. It is all about moving our attention from static stocks of inventory to dynamic flows of human creativity and engagement. It’s all about moving from a world defined by private property, legally defined and enforced, to a world that socially enacts the principles of the commons. We are moving from a market-based system of impersonal, episodic transactions to a commons-based culture of highly particular and enduring relationships. It’s imperative that we reorient ourselves to this new perspective. It is especially important for public bodies such as governments to adapt to the realities of open platforms – and to support digital commoning. If governments continue to try to fulfill their public missions through conventional bureaucracies – hierarchical, procedure-bound, legalistic, working at several removes from citizens – they will not only be ineffective and slow, they will fail to capitalize on the power of open platforms to advance the public good. They will be out-maneuvered and de-legitimized by self-organized networks of commoners, much as the forces of Occupy, the Indignados and the Arab Spring each challenged their respective governments. If governments are smart, they will recognize the new realities of value-creation on open platforms and act swiftly and affirmatively to assist it. And why not? The emerging Commons Sector, as I call it, has enormous contributions to offer the public good. Moreover, the Commons Sector is the cultural wave of the future. Young people who are “born digital” consider online sharing and collaboration a simple fact of life – and more and more businesses accept free and open flows as the baseline premises for their revenue models. Even Hollywood and the record industry release “pirated” versions of their stuff to seed the market. This sensibility is only going to grow stronger. Government provides all sorts of subsidies and legal privileges to market activity. Why can’t it provide similar support to the digital commons, especially when digital commons are proving to be more efficient, creative and beneficial to the public than many concentrated markets and hidebound bureaucracies? Governments need to leverage the Commons Sector as a diverse and robust field of mass participation – a significant vector of value-creation that provides services that neither the market nor the state can provide on their own. So my first bit of advice is for the policy elite to get beyond the bipolar mentality of “state vs. market,” and embrace the commons for its distinctive, socially generated forms of wealth. Let’s embrace its different operational logic and the new strategic opportunities that it opens up. For example, instead of insisting upon organizational models that presume a mechanical cause-and-effect in a supply-and-demand equation; instead of focusing on individuals and ignoring self-actualizing social networks; and instead of trying to quantify and predict everything -- let’s begin a new conversation. Let’s recognize people and institutions function as nested players in a larger, interdependent social ecosystem. Our “economy” functions more as a biological model than a mechanical model. By recognizing the field as a social ecosystem, creative attention can flow to people and places of human need. It need not be restricted only to problems that show sufficient consumer demand. Consider the Crisis Commons, a web-based group that brings together techies, emergency relief experts, volunteers and many others when a natural disaster occurs, such as the Haiti earthquake. This self-organized corps of volunteers has achieved fantastic feats of humanitarian aid and logistics because of its networked, commons-based structure. Somehow we need to find ways to nurture this very different mentality and make a shift in our thinking from the mechanical to the ecological; and from control of fixed stocks of stuff to protecting renewable flows; and from ownership of property to the stewardship of commons. What does all this mean for archives? While there is obvious value in national archives, broadcast archives and national libraries being “a place apart” that provides important expertise and professionalism, archives must be much more than ivory towers for scholars, historians and antiquarians. They must engage more fully with everyone. They must take full advantage of the Great Value Shift and affirmatively provide universal access to the cultural patrimony that has been entrusted to them. They have a public obligation to find creative ways to re-unite this patrimony with creative people, educators, the general public, and others, and become stewards of the commons. It is useful here to consider archives as infrastructure. In standard economic terms, they are public goods that enable countless “spillover effects,” both social and commercial. What’s especially significant about these spillover effects is that they cannot be easily planned and predicted. In fact, that is precisely what makes infrastructure so valuable. No one can predict that some future artist will make a fantastic new film or work of history or song based on an obscure work from a century ago. If we conceive of archives as vital infrastructure, we can make very strong arguments for their value in promoting culture, commerce and democracy and in enabling literally unimaginable future possibilities. For more on this subject, I highly recommend a recent book called Infrastructure: The Social Value of Shared Resources, by Professor Brett Frischmann, a law professor at Carodozo Law School. Treating infrastructure as a commons has several benefits, Frischmann argues. First, it lets users – not markets or government – decide how to use the opportunities provided by infrastructure. Second, it keeps certain opportunities for using the infrastructure open and available for the future rather than foreclosing current and future uses. And third, it creates a “spillover-rich environment” where “new and unanticipated innovations, knowledge and social capital” can be developed. Traditional economic metrics don’t easily capture such things, but there is no question that infrastructure contributes substantially to economic growth and social welfare. So that’s the first imperative: treat archives as shared, open infrastructures and invest in them -- because they will deliver enormous, unpredictable benefits, now and into the future. If archives think of themselves as open platforms and social infrastructure, I think they will begin to see new strategic opportunities for themselves. They will begin to judge their success by different metrics. They will see themselves not just as preservationists and curators, or as government-supported institutions with distinctive buildings. They will see themselves as hosts of living communities of enthusiastic co-creators. They will see themselves as active and vital democratic resource. Integrate everything the library knows into the entire Net ecosystem. The more pressing, short-term challenge, of course, is how to pay for new archives programs at the very moment when governments face tight budgets. It raises the question: What sorts of monetization strategies are feasible and appropriate? But if we are serious about treating archives as infrastructure, business models are not generally appropriate. They tend to narrow and privatize the mission of the network platform – and this in turn stifles open access and spillover effects. This indeed is one of the perils of private/public partnerships. Corporate funding usually comes with a catch. The Google Library Project’s scheme, for example, stifles potential competition and user freedoms. I think we need to invent some new forms of large-scale mutualization of financing that has the sanction of law – a theme that Philippe Aigrain has brilliantly examined in his 2012 book, Sharing: Culture and Economy in the Digital Age. I don’t have time to go into great detail, but Aigrain proposes something called the “Creative Contribution,” which he describes as “a self-standing system of rewards and upstream financing for the digital cultural commons.” The system seeks to provide monetary rewards to creators while allowing individuals to share and re-use content via non-market commons. Now it is clear that such schemes are highly ambitious and controversial. But I think we need to start looking in these directions if we are going to seize the historic opportunities for culture, commerce and democracy presented by open platforms. Let’s remind ourselves: new revenue solutions are not going to magically appear. We have to invent them. The open-access scholarly publishing movement did not have all the answers when it declared its vision of making academic journals freely available to all. But the OA movement has overcome many deep-seated prejudices against OA and brought into being new funding schemes in cooperation with foundations, universities and governments. Developing new financing schemes for archives will take some time, ingenuity and struggle. It will take conferences such as this and brave leadership. But you can be sure of this: no financial plan that ignores the new social ecosystems will succeed over the long term. The music industry found this out the hard way. As new technologies arise to provide secure digital identity and lower coordination costs, the old institutional models based on conventional property and chokepoint-based markets will start to implode. Let me add: it’s a fallacy to think that new programs are necessarily about extra costs. Wikipedia, with more than 371 million unique visitors a month, has a staff of only 65 people. That’s because most of the work is done by more than 90,000 Wikipedian volunteers. It’s all about leverage! I believe that if an archive truly puts itself out there as an open platform and exploits social networking, it will elicit all kinds of unexpected, creative participation that it never could have imagined. And this will lead to all sorts of new indirect revenue opportunities such as better branding, paid events, merchandising, licensing, sponsorships, partnerships and more. In the U.S., information activist Carl Malamud got impatient with the federal government’s slow pace in making its films and videos available online. So he launched the International Amateur Scanning League by recruiting dozens of volunteers to digitize government-produced DVDs by themselves. Then he posted them on the Internet, for free. The volunteers reported great satisfaction in making national video treasures freely available. And Malamud pointed out the positive impact on businesses by creating opportunities for print-on-demand, DVD sales, and other value-added operations. On many occasions, the Smithsonian Institution in Washington, D.C., has asked Internet users to help identify unknown people in archival photos. This has led to the recovery of histories that would have been lost forever, and such crowdsourcing projects as a network of volunteers (rather than specialists) who study environmental factors affecting the size of wildlife populations. The challenges facing archives in transforming themselves are formidable. It will be difficult to take full advantage of open networks and universal access and participation, and to develop innovative funding models. But the opportunities for archives to become more culturally relevant are too attractive to ignore. And in fact, clinging to the old ways is a guarantee of stagnation and marginalization. I hope that the discussions at this conference will help unleash some new energies in re-imagining the archives of the future. Felix Stalder, an Austrian commons thinker and strategist, responded to my talk with a number of interesting critiques and elaborations. That can be found here.